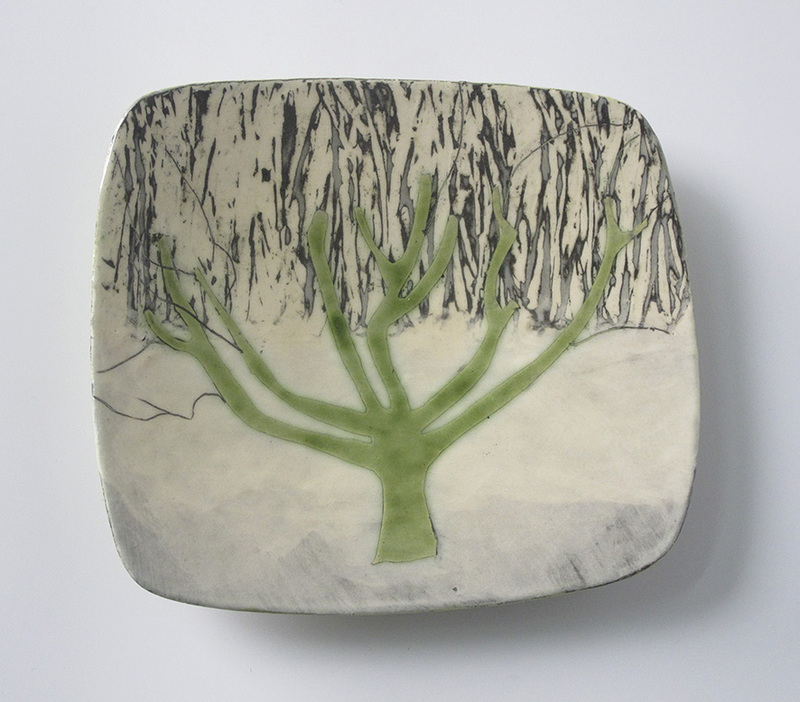 On this short course you will learn how to use drawing to develop designs for simple slab built ceramic platters and tiles. You will discover ways to build complex and layered surfaces with tonal and coloured slips, using your own hand-cut stencils, stamps, linocuts and sgraffitto designs. The course is suitable for all abilities. The day will start with a quick drawing and mark-making session, using the environment around Lund studios as our starting point. We will then develop the drawings using collage and line drawings to create an understanding of the possibilities in using slips and other ceramic processes, as well as practicing mark-making and painting layers of slips (coloured liquid clay) on small leatherhard clay tiles. In the afternoon, we will have the opportunity to decorate one large and/or several small plates or tiles. For a small additional fee Anna can fire and glaze the finished items and arrange delivery. 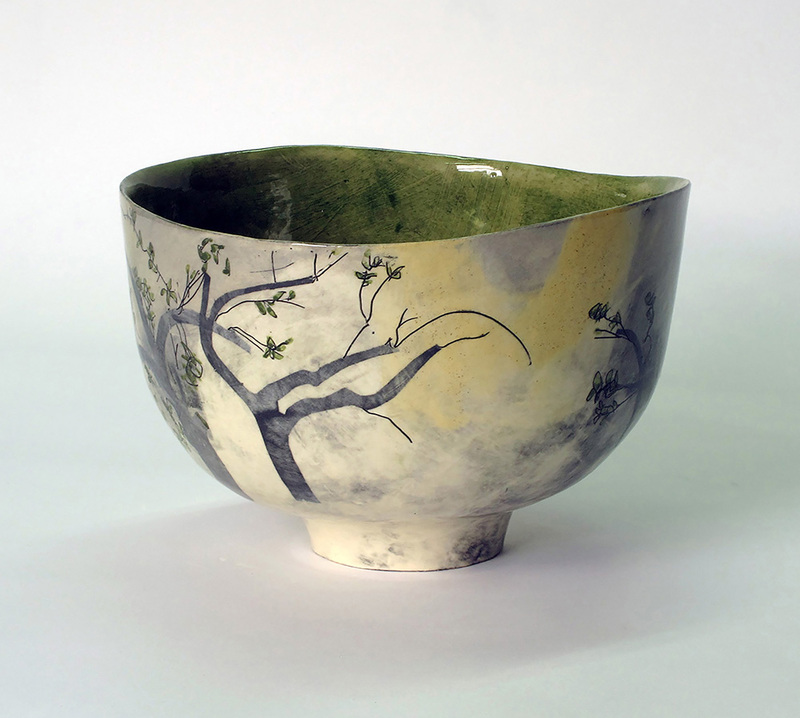 Anna Lambert makes hand-built earthenware ceramics using various techniques including slab-building, modelling and painted slips. Anna‘s ideas reflect an interest in place, exploring narratives relating to, amongst other things, water management in the landscape and the regeneration of orchards. 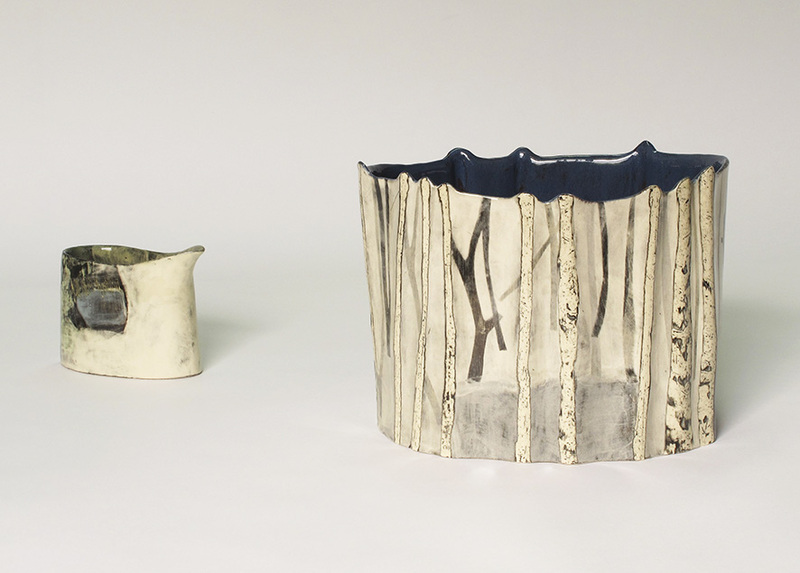 Inspired by new nature writing, she engages with a common language beyond pastoral sentimentality, combining drawing with abstract qualities of pots, their spaces, edges and surfaces. Anna studied 3D design and ceramics at Bath Academy of Art and University of Central Lancashire. 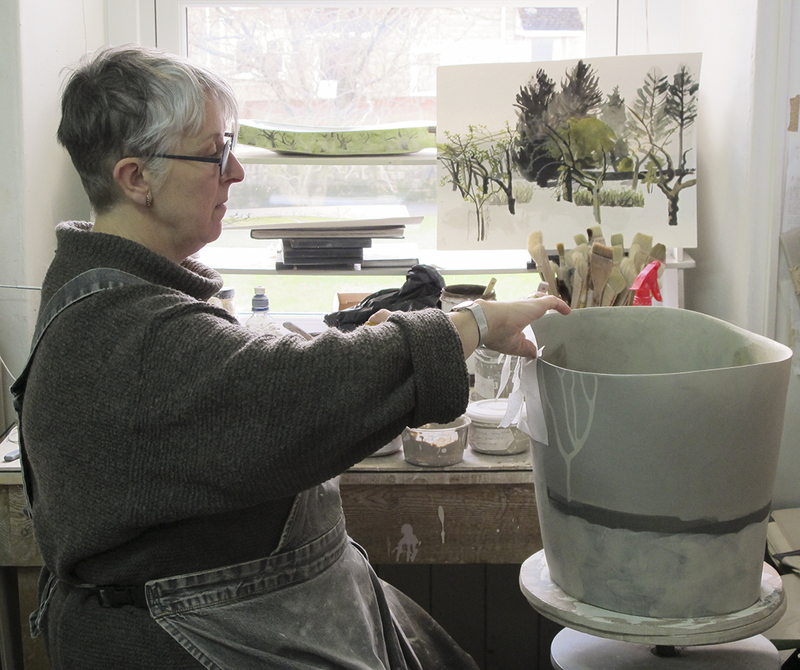 A full-time maker since 1980, her many solo exhibitions include The Scottish Gallery, Edinburgh; Contemporary Ceramics, Centre, London and galleries in Europe and USA. She exhibits regularly at major ceramics fairs such as Ceramic Art London and takes part in North Yorkshire Open Studios. She is a fellow of the Craft Potters Association and organiser of York Ceramics Fair.